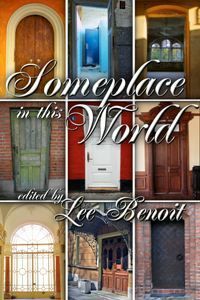 This Mountain story appears in the new anthology, Someplace In This World, edited by Lee Benoit. It sits among some amazing company, including stories from Lee, Eden Winters, Syd McGinley, Kiernan Kelly, and GS Wiley. Gary’s a schemer and a con man, always on the lookout for a profit, and he’ll play the lover if that’s the route into someone’s pocket. Enough money will get Gary and his beloved Seth away from their small town origins and into the ranks of the wealthy, but luck turns against him. On the run, he’s come back to the mountains and his roots, but is there a place for him here? Because no one, even Seth, has a reason to welcome him now. Find Return to the Mountain and eight other stories of finding home in Someplace In This World. This entry was posted in Writing and tagged anthology, Gary. Bookmark the permalink. Oh, enjoy! Gary’s certainly not my usual character.